This place was pretty cool. It is even mentioned here as a place where David Bowie and Iggy Pop hung out when they lived in Berlin in the '70s. 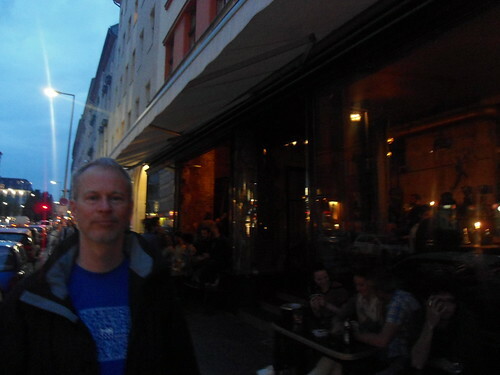 We sat inside, and Nicole and I drank the Dunkel (dark lager) brewed by Flensburger. It was okay. This was the view from the bar, looking back out to Oranienstrasse.